Eunice Moseley, MS, MBA is president of Freelance Associates, a public relations and business management consulting company that as provided PR and business management strategies to artists and companies since 1993. She is also a syndicated entertainment columnist of The Pulse of Entertainment (www.ThePulseofEntertainment.com). The weekly column has an estimated weekly readership of 1/4 million. It appears each weekly at www.ThePulseofEntertainment (over 120,000 hits a week) and twice a week at http://www.eurweb.com/ (over 185,000 visitors a week). In syndication it has been known to appear on the websites of The Baltimore Times, KJLH Radio, WDAS FM , Atlanta Daily World, The Washington Informer, The Buffalo Criterion, The North Dallas Gazette, Urban Sentinal, Charleston Chronicle, Houston Style Magazine, New Pittsburgh Courier, Chicago Defender, Michigan Chronicle.KHVN Heaven 97, and Power 91.9. Eunice appears weekly as a guest on Praise 98FM's "Lady Charmaine Live" Show for her "The Pulse of Entertainment Update" airing Fridays at 11amPT. She also serves as Promotions Director at-large for The Baltimore Times where she worked full time for almost 20 years in varies management positions (Business Manager, Sales Maanager, Entertainment Editor, Accounts Manager and Promotions Director). In 1999 she became founder and coordinator the Baltimore "Uplifting Minds II" (ULMII) entertainment conference to provide up-coming artist and companies with information about the business and inspire artists with a talent show competition in vocal, songwriting and dance. It went on to be held annually also in Houston, Atlanta and Los Angeles. It is currently held annually in Baltimore (Security Square Mall), in partnership with Security Square Mall and The Baltimore Times, and Los Angeles (Los Angeles Convention Center ). Entering into its 20th year ULMII in 2019 formed a partnership with Baltimore City Department of Social Services' Foster Care Program's "Ready By 21" where the conference will education foster kids on the business of entertainment and showcase their talents in singing, songwriting, dance and acting. 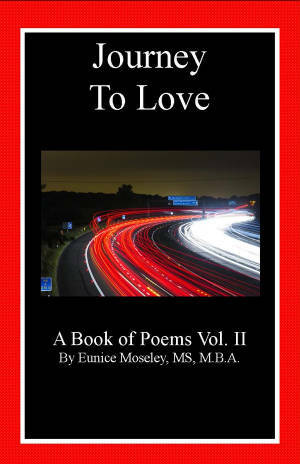 On February 14, 2014 Eunice became an author by publishings (Freelance Associates) a biographically based book of poems, "Journey to Love: A Book of Poems" (@Amazon) based on her journey back to love after the death of her husband. 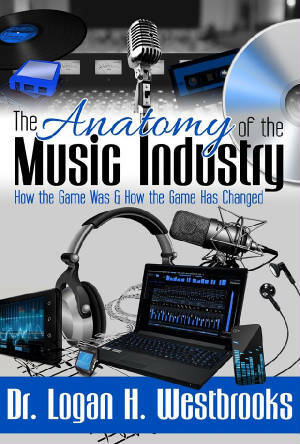 She is also a featured Public Relations expert (via her company Freelance Associates) in Dr. Logan Westbrooks' lastest book release "The Anatomy of the Music Industry" (@Amazon) released October, 2015. She holds a Masters in Management/Public Relations from University of Maryland's University College and is a member of the Public Relations Society of America (PRSA). 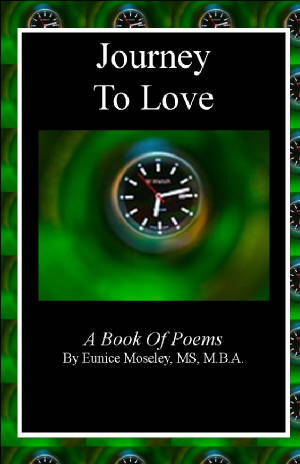 "Journey to Love: A Book of Poems (Vol I & II)" details the personal journey of Eunice Moseley started in 2011. She takes the readers on her inspiring, emotional, unbelievable and sometimes dangerous journey to get back to Love. During the journey she shares poems created along the way to inspire Love while giving her philosophies on life to encourage. Her poems accompanies with colorful pictures and her philsophies are thought provoking providing glimps into the life of her and Love. To order the complete series of "Journey to Love: A Book of Poems" email info@ThePulseofEntertainment.com or visit @Amazon for discounts. Eunice Moseley, MS, MBA appears as a featured public relations expert in "The Anatomy of the Music Business" by Dr. Logan H. Westbrooks (@Amazon), a veteran executive who serves at Capital records, CBS Records, Columbia Records International. Moseley, through her company Freelance Associates, is a member of the Public Relations Society of American (PRSA). Moseley: "I think we are at a point now that the power could be taken over by marketing, PR and management companies because artist themselves don't know the business. So if they want to keep the power, they need to learn the business of entertainment. If you don't know the business someone else is gong to run the business for you and they can take the power from you." In 1993 Eunice started Freelance Services (now known as Freelance Associates) where she developed magazines and newspaper, press releases, flyers, brochures, business and sponsorship proposals, and held press conferences. In 2003 Freelance Associatesbecame a consulting firm with offices in Baltimore and in Los Angeles. At Freelance Associates Eunice develops public relations and business management strategies, and advises clients during the implementation of those strategies. Freelance Associates is a member of PRSA (Public Relations Society of America). 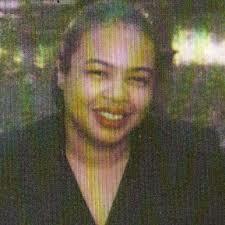 In 1999 she founded the "Uplifting Minds II"(ULMII) free national entertainment conference. It was initially held five times a year in Baltimore, Houston, Atlanta, and Los Angeles. It is currently held once annually in Baltimore (Security Square Mall) and in Los Angeles (Celebrity Centre in Hollywood). The conference offers a free entertainment business seminar panel discussion, and a national talent competition showcase where a panel of industry judges score 10 acts in three areas vocal, songwriting and dance. Winners receive the ULMII Award, and a list of prizes donated by sponsors that vary each year which could include free entertainment consult, free music track, free studio time, free product shelf space at a record store, free public relations strategy, free commercial photo shoot, and much more. Some of the industry judges throughout the years have included Grammy winning Brenda Russell ("Piano in the Dark," "Get Here"); legendary rapper MC Lyte; Mathew Knowles former manager of Destiny's Child; Jazz and Woody of the platinum selling R&B group Dru Hill; entertainment attorney and entertainment business mogul Paul Gardner II, and many more. Eunice Moseley holds a Bachelors in Telecommunications from Morgan State University, a Masters in Management/Technology - Public Relations and an M.B.A. from University of Maryland's Univetrsity College and is currently persuing a Ph.D program in Management - Organizational and Leadership Change from Waden University. She is also a certified Computer Technician from the United States Navy. You can contact her at FreeAssocInc3@aol.com, Info@ThePulseofEntertainment.com or call 562-424-3836 for more information.